If you want to keep your yard safe and private then the right fence covering just might be an important feature for you and your family. 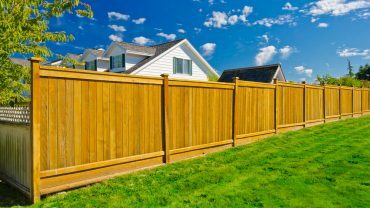 If you have a fence around your yard you may have thought about ways to make it even more secure. Maybe you wanted to make your fence a little more private but weren’t sure just how to do it. Well, it’s actually quite easy to do. All you need to do is look for some fence covering to get yourself started. You may not even know what fence covering really is. Maybe you’ve never even heard of it. That’s okay because a lot of people haven’t. They think that you just put up a fence and then you’re done. Your fence is enough to keep people from seeing into your yard, right? But what if it’s not? What if there are holes in your fence or it’s just not quite sturdy enough for what you want? 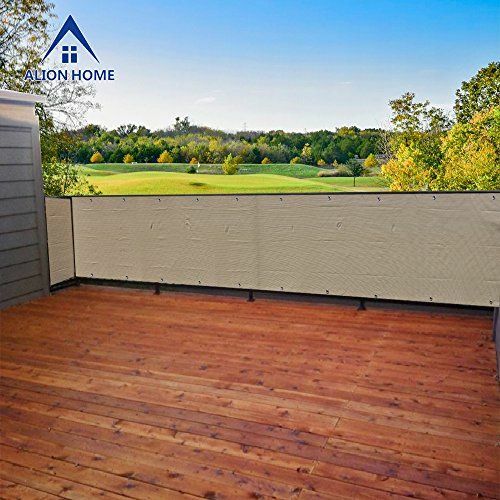 A fence cover is like a piece of material that goes over your fence and provides, even more, protection from prying eyes. 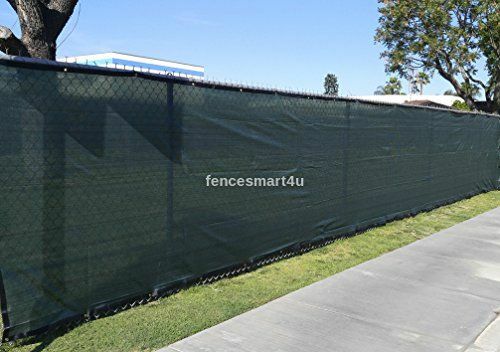 The material is actually really easy to attach and it stays up on your fence so that you don’t have to worry about anything. You don’t have to take it down for things like rain or bad weather. You can just leave it exactly where it is until you decide that you don’t want it anymore. Of course, it will start to wear out eventually and you’ll need a new one, but for a while, it’s going to be exactly what you need. Some people are perfectly happy with the protection that they get from their standard fence. 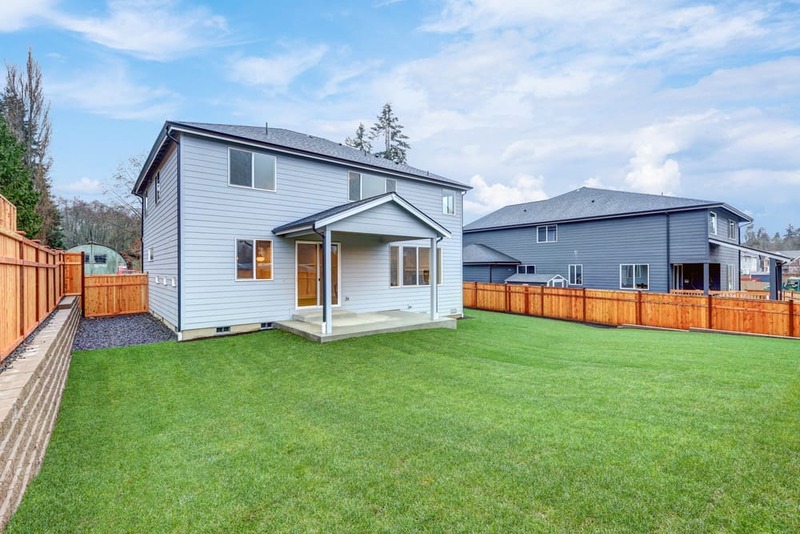 So-called, privacy fences are generally enough for most people. But if you have prying neighbors or you just don’t feel safe enough, you can get a fence covering. They’ll help you with more than just privacy. 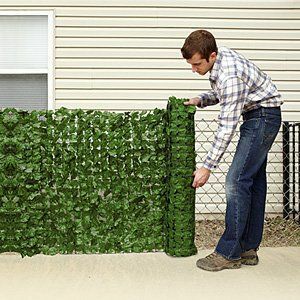 These fence covers are actually great for adding decoration to an otherwise boring fence. They do come in more than just solid colors, after all. They’re also great for protecting your yard from the wind. If you live in an area that can get quite windy you know that even a tall privacy fence doesn’t do a good enough job of keeping that wind out all the time. With a fence covering you’re actually blocking more of those openings on your fence. That means there’s less area for the wind to get through. And that means you’re going to have a whole lot more fun in your backyard, even when it’s windy outside. So, by now you’re probably wondering just what this type of covering is really going to cost you, right? Well, you’re in luck, because it’s not going to cost you much of anything. These types of covering are available for as little as $1 per square foot, and they can be customized to whatever you want. If you want something really special it will cost you more, but something basic can be less than $100. When it comes to being comfortable and keeping your privacy, what could be better than that? This fence covering is actually quite fun and unique at the same time. 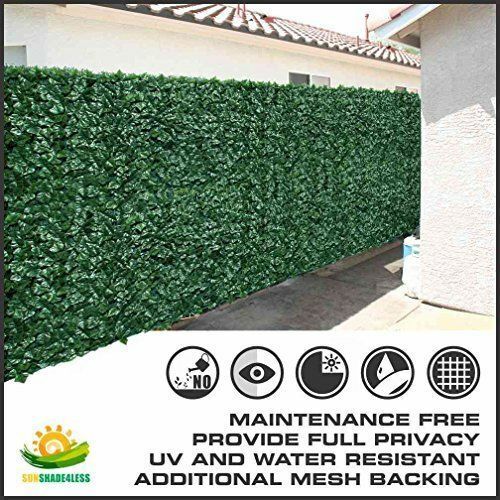 It looks just like leaves and ivy crawling up your chain link fence and provides privacy protection at the same time. 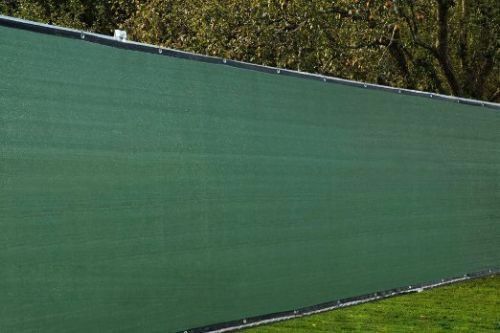 The deep green in this covering makes it difficult to see through and also ensures that wind isn’t going to get through. 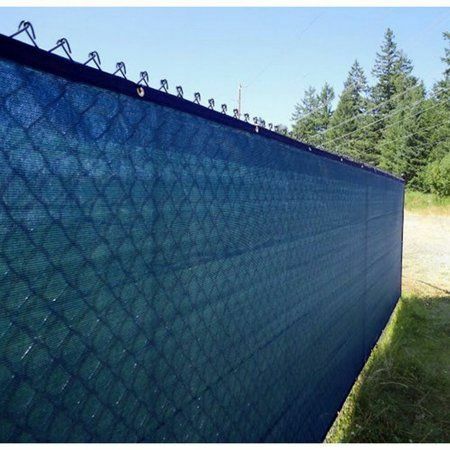 You get protection from everything and it works with tall fences. Here you’ve got a thick protection from anything on the other side of the fence. That means it’s going to keep your space private as well as keeping out the wind and it’s colored in a light tan. This black panel is only slightly protecting the other side from view. You can still see a little, which means it’s only slightly increasing privacy and only slightly protecting from wind as well. This blue sheet isn’t too dark or thick, which means it’s not keeping out a whole lot of wind. It’s also going to provide you with only a minimal amount of privacy protection, though most people aren’t going to see much through it if they’re walking by. 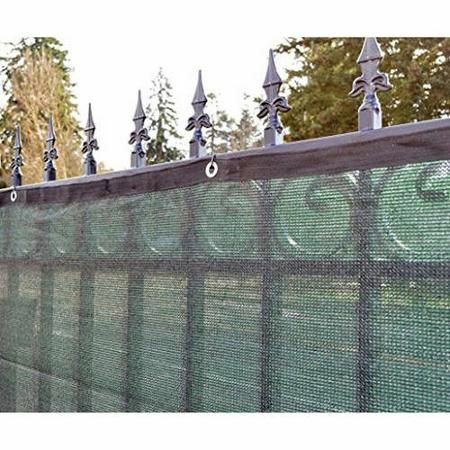 These panels are each able to hold up anything you might want and connect easily to the fence. Because of the grommets throughout you can connect them wherever you want and because of the light material you can see through slightly, but still get protection. This netting has a woven pattern to it that makes it a little thicker than others. 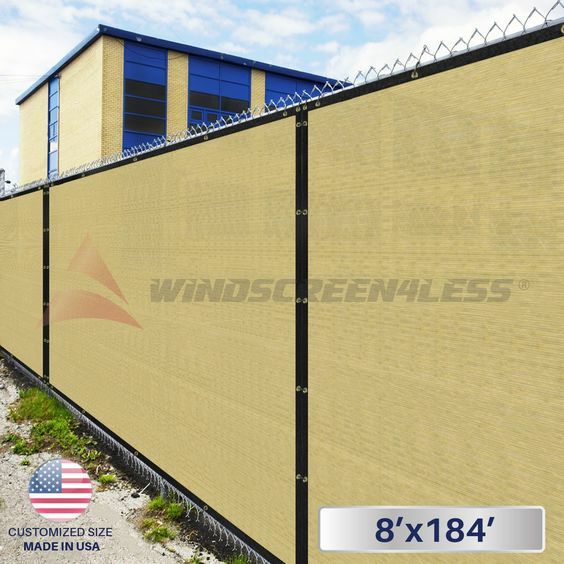 It’s also going to protect from the wind decently well and connects to your chain link fence easily. 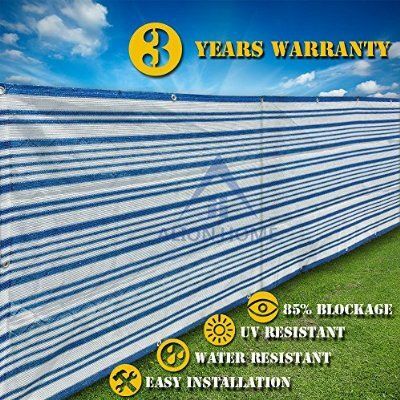 This striped fence cover is made with a type of nylon that provides wind protection and definitely keeps your privacy. What’s even better is it’s water resistant and UV resistant so it protects from the sun as well. This green panel is only slightly going to obscure view, but it attaches to all different types of fences. It even attaches to this iron one to provide better protection and security. 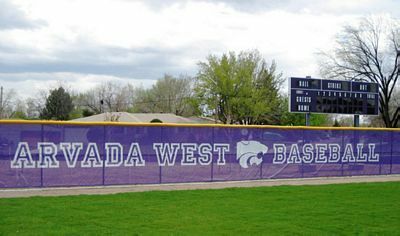 Another benefit of a fence covering is the ability to advertise. This bright purple screen doesn’t provide a whole lot of protection, but it does advertise the school it belongs to. 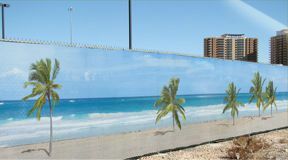 You can also get advertising screens that are darker and thicker to help increase privacy and wind protection while supporting a program. This one is definitely going to do all of that. 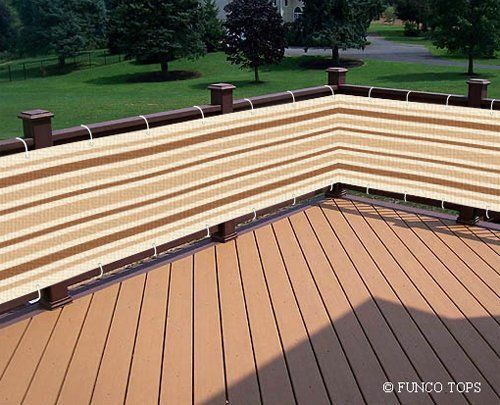 This striped cover attaches easily to any kind of fence or even deck railing like this one. It’s also striped to provide a little bit of decor to the porch or yard. Leafy styles of fence covering can be a lot of fun and they’re unique. It looks sort of like ivy growing up your fence, but without all the work you have to put in usually. 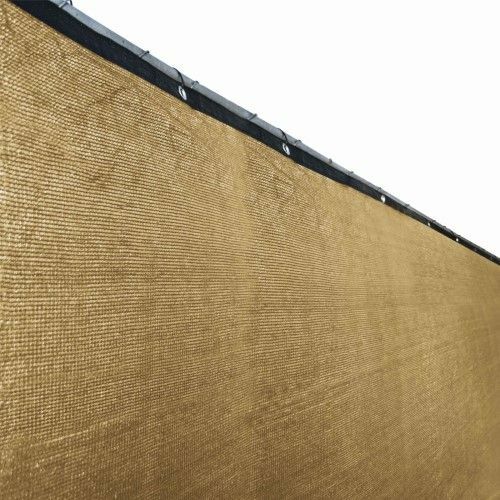 You can also opt for a stylish looking wrap for your fence that makes it look unique and stylish. This also provides wind protection and privacy at the same time.